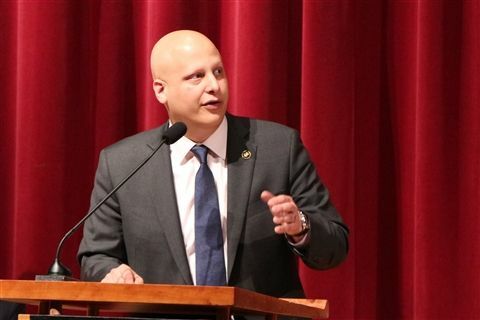 The Class of 1935 Political Awareness Essay Contest featured speaker Eric Waldo '96, executive director of Michelle Obama's Reach Higher initiative at The Common Application, and the awarding of the contest prizes for clear and logical thinking about political issues. 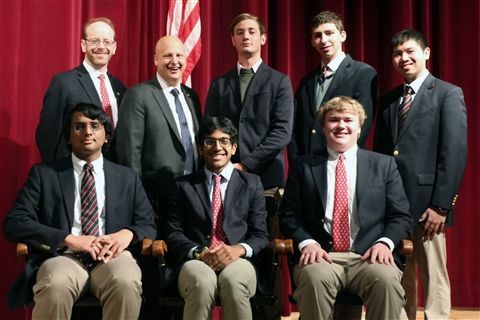 Savaan Patel '20 won 1st place for "Katz v. United States: One Step Forward, Two Steps Back," Kiran Krishamurthi '19 won 2nd place for "Same Material, New Methods: The Change in Federal Education Policy After San Antonio v. Rodriguez," and Trey Hammond '19 won 3rd place for "A Supreme Controversy: Kelo v. City of New London and the American Belief in Property Rights. Honorable Mention recipients were Arnold von Engelbrechten '19, Dylan Siegler '19, and Jack Miranda '20. Congratulations to the finalists and program advisor History Chair Alan Cate!